Print out these great breakfast coupons - you only need to click once to get all of them! 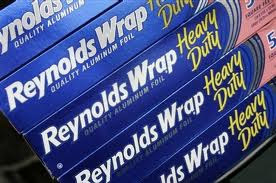 Here are some great new Reynolds brand product coupons! They're perfect for the upcoming holiday cooking season! I know I often see recipes calling for parchment paper, which I don't have on hand. So I'm going to print the coupon below, and when I see a sale, I'll buy some - and then I can try those recipes finally! The toy coupons are back... which means it must be almost Christmas. What? What happened to Thanksgiving? Halloween? Columbus Day? Well, if you see a great sale on these toys, use the coupons below to save even more! 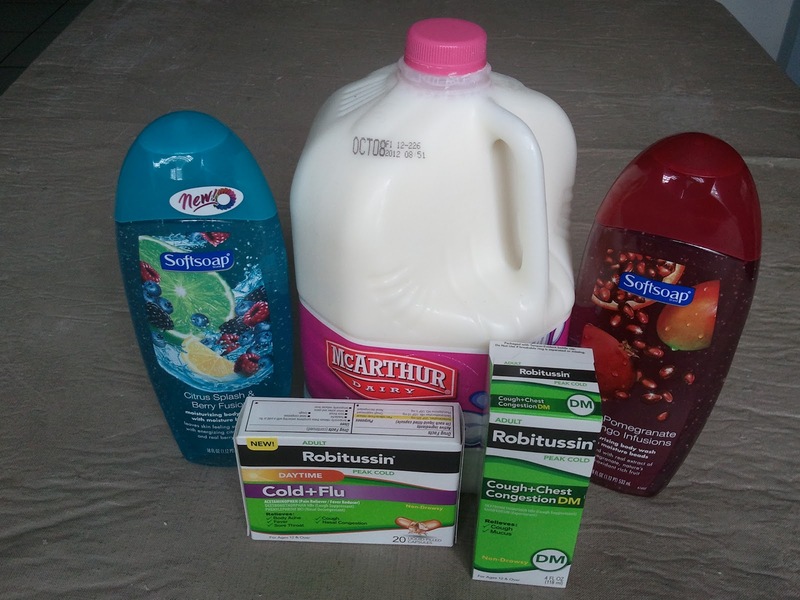 This week at Walgreens, I thought I had found a great deal: Buy 4 Reach products and get $3.00 in Register Rewards. Since I had a pad full of $2.00 off Reach products (given to me by a relative who is a pharmaceutical representative), I thought I had a great moneymaker here. But when I went to purchase them, the Register Rewards didn't print out. Instead, a slip printed out of the Register Rewards machine: Buy 4 Reach products between 10/1 and 10/28, get $3 in Register Rewards. Oh, well, each floss only cost me 19¢. Not too bad! I purchased Kleenex, which was buy one, get one free, and got a good deal by using this $0.55/3 KLEENEX Facial Tissue coupon. And I received an unexpected $1.50 RR! I'm not sure how many boxes you need to purchase to get the Register Rewards - I didn't see it documented anywhere. 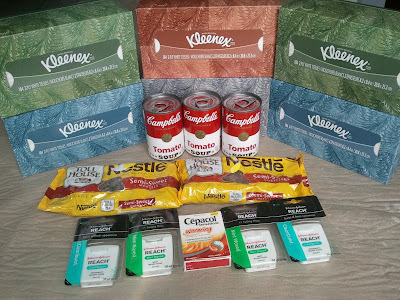 Let me know if you get a Register Rewards for Kleenex, too! It was a good week for food as well - I purchased Campbell's soup and combined the in-ad coupon with this $0.40/3 Campbell's Condensed Soups coupon. And I got chocolate chips, perfect for cookies and other treats! CVS: They read my mind! 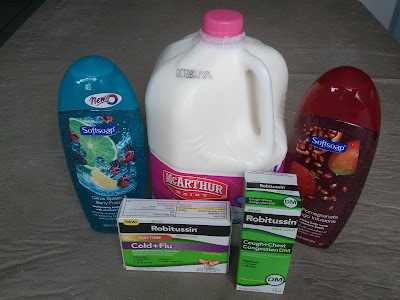 At CVS this week, I was excited to see that there was an Extra Care Bucks deal on milk - buy one gallon at $3.49 (my local price; yours may differ), receive $1 ECB. So I made plans to get milk there, as well as a few other items. So when I scanned my card at the coupon printing machine, what came out? A CVS coupon for $1 off milk! Woohoo! They must have read my mind! So I ended up paying $1.49 for a gallon milk after coupon and ECBs. It's not free milk, but it's a great price! I am not that big a fan of cosmetics, I have to admit. I'd rather not wear any most days. But sometimes there are days when a little is needed, so I begrudgingly put it on. 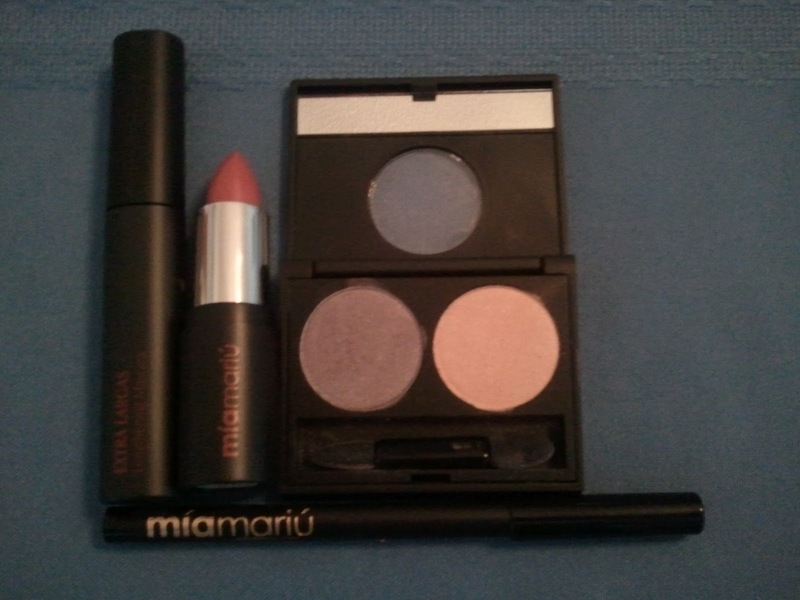 So I wasn't the most likely candidate to test out Mia Mariu Cosmetics. But I'm glad I did! Mia Mariu’s high performance products are formulated with the most natural ingredients available helping you achieve vibrant beauty and health inside and out. Each unique product fuses nature and technology by combining the highest quality botanicals, antioxidants, vitamins, minerals and peptides. The result is healthy products that provide a perfect balance that reflects itself through youthful, healthy, beautiful, glowing skin and renewed energy and vitality, at an exceptional value. Mia offers natural skin care, professional makeup artist quality mineral cosmetics and brushes to Reveal Your Unique Shade of Beauty! Mia Mariu's line of cosmetic products includes anti-aging treatments, nutritional supplements, foundations, concealers, blushes, eye shadow, eye liners, mascara, lipstick, brushes, and fragrances. Everything was so nice, I had a hard time choosing what I wanted to try out. The products were easy to put on - no clumping of the mascara, like so many other brands I've tried. I really loved the pink and purple colors of the eye shadow; they went together and blended well. The pencil went on smoothly. Because I'm fair-skinned, I don't usually wear black eyeliner and mascara, but these went on subtly, not overpowering like some black eyeliners and mascara might. And I thought the pink color of the lipstick worked well for me. I checked on my makeup a few times during the day, and saw that no reapplications were necessary. In fact, by the end of the day, it had not worn off and was still looking great! Other brands of makeup may be cheap - or even free when you combine sales with coupons - but if they don't stay on, they're not doing their job. And if you have to reapply them over and over again, then any cost savings goes out the door. So I really liked giving Mia Mariu a try! Would you like to try these cosmetics? You can find them, and many other products, at the Mia Mariu website. And you can become a fan on Facebook or follow on Twitter for more information about their products. Or would you like to try these for free! To enter, use the Rafflecopter below! This giveaway is open to US residents 18 and older. This giveaway ends on Friday, October 19, 2012, at 12:01 am. A winner will be chosen randomly soon after the end of the giveaway. The winner will be contacted by email, and the winner must respond within 72 hours. If the winner does not respond, that person will be ruled ineligible and another winner will be chosen. This giveaway is in no way associated with Facebook. We were out of milk and flour this morning (the milk I knew about, the flour I discovered in the middle of making challah), so I took a trip over to ALDI. I turned down the baking goods aisle... and there was no flour. None whatsoever. The sign was even gone. I picked up the milk and a few other items and went to check out. The manager was running the register, so I asked her about the flour. "The shipment was bad," she said. "We'll have more on Sunday." ALDI keeps their cost of running their stores, and thus their retail prices, low partly by carrying only one brand of each item, their house brand. This works for them almost all the time. But when things go wrong, they really go wrong. 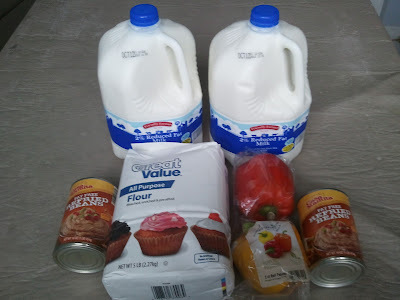 Had a Publix or Walmart store received a bad shipment of a product, they would still most likely have other brands of the item, and they certainly would for a basic item like flour. And even if somehow they lost everything they had on the shelves, they could go to their local store distribution centers and have more product shipped to them within hours. Worst-case scenario, someone in high-level management could contact the brand name companies, who could probably get more product out to them as quickly as possible. But ALDI doesn't have this kind of backup plan. So the store is without flour for at least two days. That's lost sales, and a little bit of doubt in ALDI creeping into the minds of loyal customers. So I had to make an extra stop at Walmart for the needed flour. Hot coupons: Kettle Chips, Kikkoman, and more! 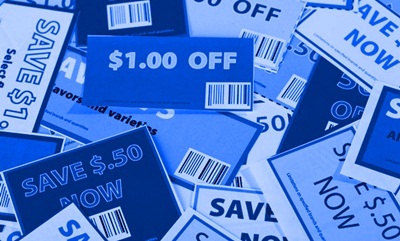 Here are some hot coupons from Coupon Network! Hot coupons: Cinnabon, Kleenex, and more! Here are some of the latest coupons from Coupons.com! Click each link twice to get two prints of each coupon. Here are some of the latest samples from Freeflys! Check out all the free samples at Freeflys. Lately I've seen a new way to earn Swag Bucks: Brand activities! You'll often be offered to do a brand activity for 2, 4, 6, or even 8 Swag Bucks. The activities vary based on the brand. In most, you will do some sort of activity - this might be watching a video or answering a few questions. Then, you'll be asked to click on a link. That will take you to either a website for that brand or to the brand's Facebook page. Once you click on the link, you'll earn the Swag Bucks. You don't need to "like" the brand on Facebook or interact with the site, unless you want to. It's an easy way to earn some extra Swag Bucks!